I had a wonderful idea! Instead of using my money as a down payment on a fancy house with a water view and a big mortgage, I would do something extraordinary and unexpected. I wanted to find a piece of land and buy it without any debt. Most of the land for sale in my area was too expensive or in a bad location. 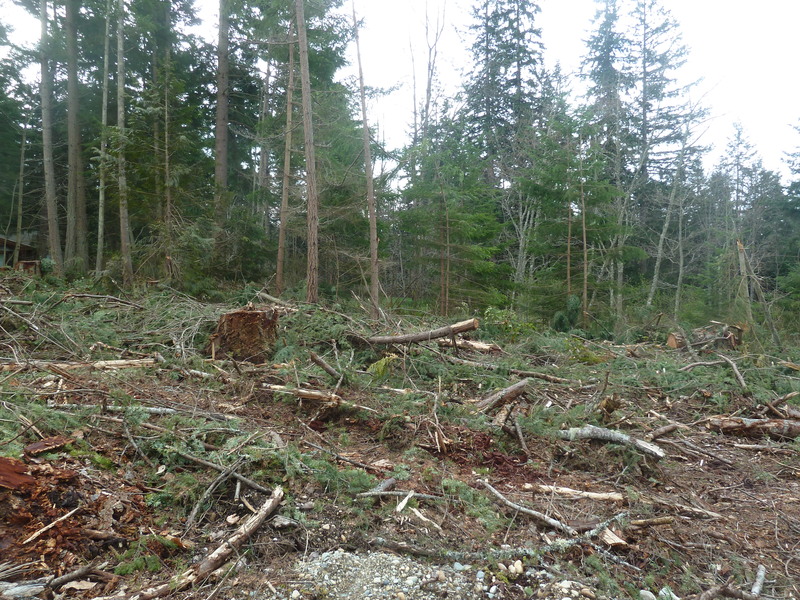 Then I saw a 5 acre parcel for sale very inexpensively because it had just been logged. It was a wonderful location, on a quiet road where each family owned a 5 acre plot. 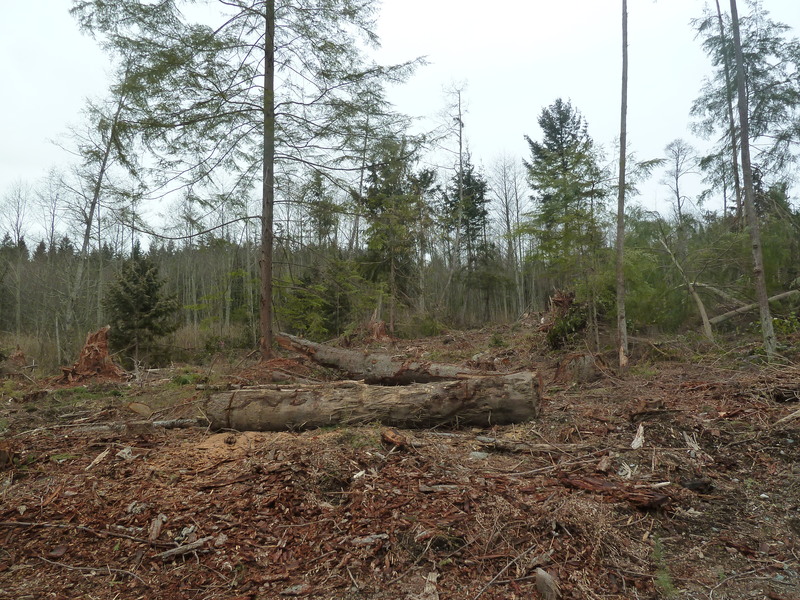 At first glance the land was pretty ugly, barren except for numerous tree stumps and big piles of cut branches. I saw the mess, but I saw potential. The land had been raped. The sound of saws cutting and trees falling still seemed to hang in the air. This land needed healing and peace. This land needed a caretaker. The price was right and I bought it!